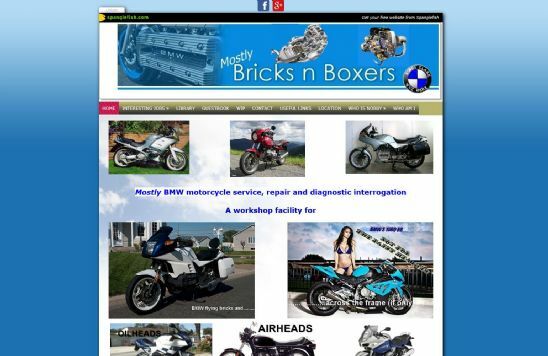 Jim Downie from Kilwinning, Ayrshire has his dotscot domain name to advertise his motorcycle repair services. Specialising mainly in BMWs Jim has a workshop facility for servicing, repairs and diagnostic interrogation. The website also features a gallery of interesting jobs he's done in the past, with lots of photos to illustrate. The website runs on the Spanglefish website system - if you're interested in a Spanglefish website with your domain, we have a bundle starting from £20 + VAT pa, or £40 + VAT pa when linked with a .scot domain name.